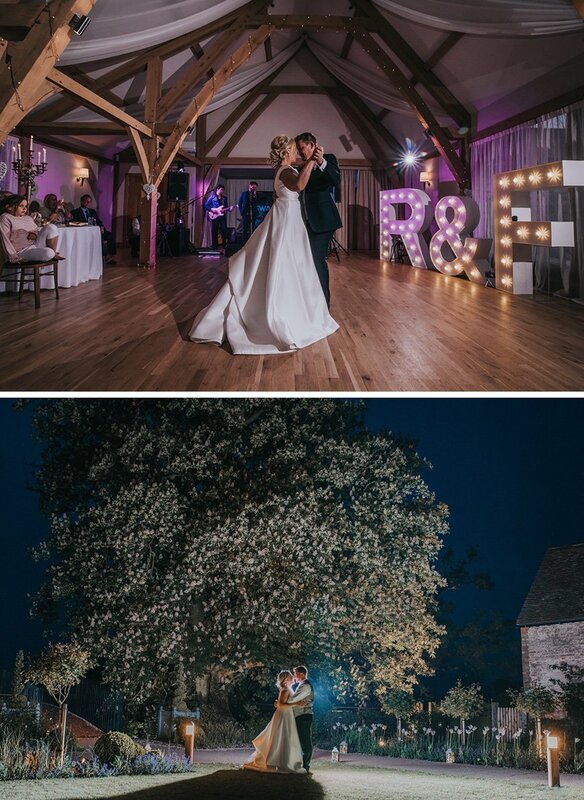 Choosing a Cambridgeshire wedding venue for their May wedding day, Fiona and Ross embraced a blush pink theme with a hint of glamour at Bassmead Manor Barns. Fiona and Ross were searching for their dream wedding venue in Cambridgeshire, keen to find somewhere with a great atmosphere where the entire day could take place. Keen to create a more glamorous look, candles and flowers were chosen as the main elements of décor on this special day. Large candelabras were hired for the tables and Fiona sourced a variety of vases and tea light holders online. Blush pink was the main colour, with vintage gold to add a touch of sparkle. Having tried a few dresses on with no success, Fiona managed to pin point the styles and fabrics she liked and found the perfect gown from Pronovias. “It was understated and simple but with the elegant look I wanted,” she explains. To complete the look, the beautiful bride accessorised with a hair vine and pearl earrings, necklace and bracelets made by her father. As for the groom... Ross and his groomsmen looked the part in navy blue three-piece suits from Moss Bros. Finally, Fiona’s four adult bridesmaids were stunning in multi-way dresses from Coast, while her eight-year-old niece wore a fabulous ivory princess dress. A romantic ceremony in the Rickety Barn at Bassmead Manor Barns was followed by a drinks reception in the Bridge Barn and gardens. Moving in to dine, the wedding breakfast began with chicken terrine, moving on to a vodka sorbet, beef cooked two ways and a trio of desserts. As the sun went down, delicious wood-fired pizza was served alongside cocktails and beer drums. Choosing playlists for their drinks reception and wedding breakfast, a band then played in the evening. “We had seen them at another wedding and danced all night, so we knew we had to book them for our wedding,” says Fiona. The newlyweds took to the floor for a choreographed first dance which, after much practising, went down well! Filling the dance floor, this was a wonderful finale to a magnificent day. 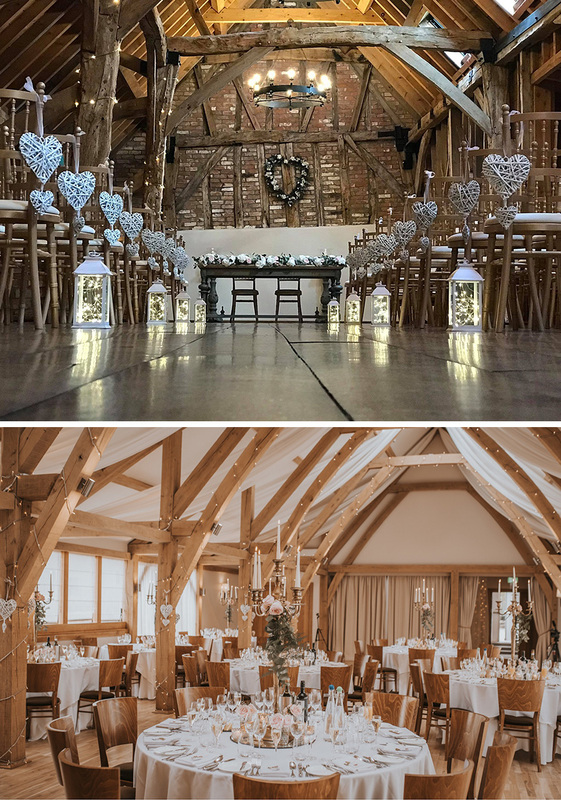 To find out more about this breathtaking barn wedding venue in Cambridgeshire, visit the Bassmead Manor Barn listing page.